If you think your relationships are complex, consider the convoluted ties among Ghana, Guinea, and the United States in the mid-1960s. The friendship between Ghana’s first President, Kwame Nkrumah, and Guinea’s first President, Ahmed Sékou Touré, proved problematic for the United States, and even led to the first U.S. diplomatic hostage situation, years before Iran. Nkrumah and Touré were both anti-Western presidents of recently independent countries. 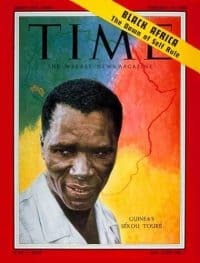 In 1966 after Nkrumah was deposed while on a trip to China, Touré welcomed Nkrumah to Guinea, and named him Co-President of Guinea. Washington, which was glad to see Nkrumah go, had little desire to deal with him now in Guinea. However, the new Ghanaian government then kidnapped the Guinean Foreign Minister and said it would not release him until they got Nkrumah. On October 29, in an odd counter move, Guinea then detained American diplomats until their Foreign Minister was released. Somehow this was all resolved peacefully, more or less. To add a bit more salt to the wound, Touré was less than gracious in his apology to the U.S. Ambassador. Robert P. Smith served as the State Department desk officer for Ghana from 1965-1966 and was interviewed by Charles Stuart Kennedy in 1989. Robinson McIlvaine served as the Ambassador to Guinea from 1966-1969 and was interviewed by Charles Stuart Kennedy in 1988. Go here for other Moments on Africa. Read about the Iran Hostage Crisis. SMITH: Kwame Nkrumah was still in power in 1965. And to say that he was difficult for the embassy and the United States Government would be the understatement of the year. He seemed to be, at times, almost losing his mind. Ghana had been left — Ghana was the first to come to independence — in really excellent shape by the British, myths to the contrary notwithstanding. They had a very favorable balance of payments. They had millions and millions in foreign reserves, hard currency. And Nkrumah simply ran the country into the ground by his tortured anti-Western, socialistic, anti-capitalist attitudes.…. While I was on the Ghana desk nine or ten months later, they had had enough and Nkrumah was overthrown in a coup. They did this in relatively bloodless fashion. While Nkrumah was in the air flying to Red China, he was met on the ground in Peking by his Chinese host and it fell to them to inform him that he was no longer Head of State in the Republic of Ghana. So that was a fascinating time in a fascinating country. We tried for years to get along with Nkrumah. We would turn the other cheek at times and do everything we could to assuage his anger. Nothing worked with him, however…. The morning of the coup, I got the call about 2 a.m. here at the house and went into the Department and immediately set up a little task force in the Operations Center. When I related how Nkrumah had landed in Peking and had been informed by his Chinese hosts of what had happened in Ghana, Dean Rusk broke into an ear-splitting grin. I’ve never seen him look so happy. We had been accused of [involvement in Nkrumah’s overthrow] all along. There was nothing to it. I mean, it was obvious that we were not among his legions of supporters, but neither were we involved because there was no reason to be involved. The Ghanaian military were quite capable of dealing with this on their own, as they did. Unfortunately, the government that followed was, in its own way, almost as bad as Nkrumah’s. We had high hopes for it, but it didn’t materialize. McILVAINE: [Guinea] was a Marxist country. 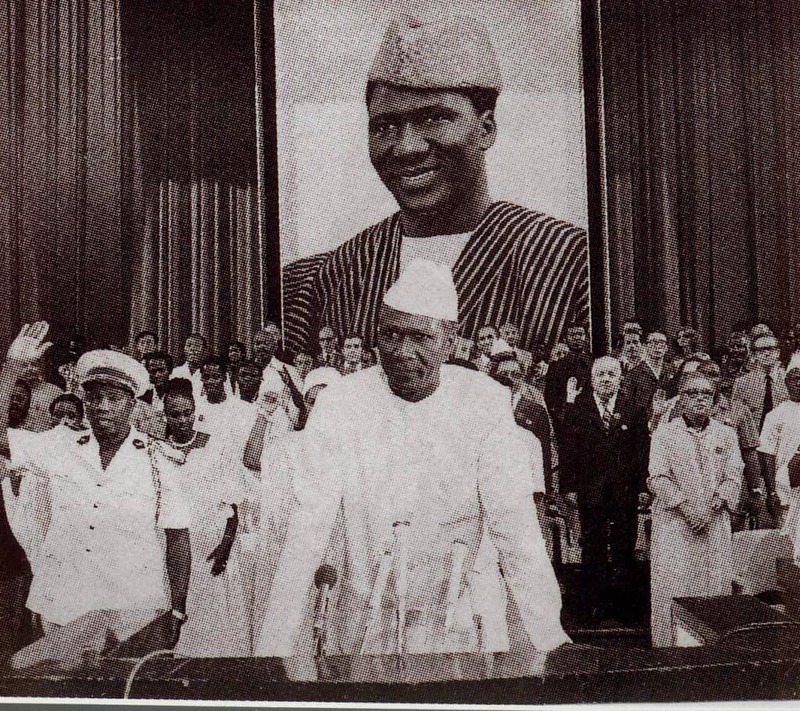 Sékou Touré was President, a leader along with Kwame Nkrumah, of the whole leftish African scene. Nkrumah had been thrown out of Ghana while he’d been on a trip to China, and he had been given asylum in Guinea by his friend Sékou Touré, even though they couldn’t talk to each other. One spoke French and the other English. Indeed, Sékou Touré had made Nkrumah Co-President of Guinea. Well, that had the State Department in a total snit, and for a long time they wouldn’t send an ambassador, because it might be considered recognizing Nkrumah. So our relationships were tense, but Guinea had — and has — the greatest bauxite resources in the world. A number of people felt it was very important that we, the West, got those bauxite resources, and not the East…. We were the first diplomatic hostages. That was before Tehran. The entire American community, everybody in the embassy, all the Peace Corps, (we had several hundred Peace Corps volunteers), were all put under house arrest, and there was a big brouhaha about that. It happened within days of our arrival. Well, the day after I had a very warm meeting with Sékou Touré presenting my letters of credence [a formal letter, usually sent by one head of state to another, that formally grants diplomatic accreditation to a named individual to be the sending country’s ambassador in the receiving country]. There was a meeting coming up of the Organization of African Unity, OAU. The Foreign Minister of Guinea, Mr. Beavogui (pictured), was going to that meeting. As is custom in those countries and in some others, the diplomatic corps always goes to the airport to see the Foreign Minister in and out. So I, the brand-new Ambassador, one day after presenting my letters of credence, go to the airport to see Mr. Beavogui off…. Anybody going to Addis Ababa from the west coast had to go on Pan Am. So all the other foreign ministers were getting on as the plane went down the coast. 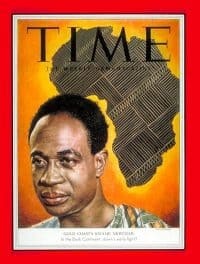 It came to Accra, Ghana, where Kwame Nkrumah had been overthrown, and the new “revolutionary government” wanted his hide. They saw that the Guinean Foreign Minister was on the plane; and they went on and roughly hauled him off and arrested him, along with about six Guinean students who were on their way to Lagos. Needless to say, I knew nothing about this. What happened was that our embassy in Ghana had apparently sent me a rocket [cable] on what had happened, but it got garbled, and we never got it until three days later. Anyhow, the first thing we knew of [being under house arrest] was on a Sunday morning. We were going to go out for the first time on a boat to see the little islands off the coast, and DCM [Deputy Chief of Mission] Charlie Whitehouse was coming around to pick us up. I went to the gate, and there was a soldier there on guard. Charles came to the gate, and couldn’t get in, and I couldn’t get out. So we wanted to know what it was. The soldier didn’t know. The long and the short of it was, you see, they put two and three together. 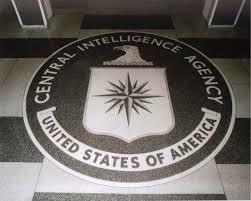 Because it was a Pan Am plane, that made it an official plane: it must be a CIA plot. We were the tools of that regime in Accra, Ghana. So by God, they were going to sit on me and all the other Americans until the Ghanaians gave up the Guinean Foreign Minister. Well, this went back and forth and back and forth for a while. Meanwhile, the OAU meeting in Addis couldn’t take place, and a special mission with the Foreign Minister of Kenya, the Foreign Minister of Sierra Leone, the Foreign Minister of the Congo, (that’s Leopoldville, now Zaire), whom I knew very well from my days there, came to try to negotiate our release. Then after about a week, we were finally released. A mob had been organized. I was allowed to go to the chancery, along with Charlie Whitehouse and a couple of others, so we could send messages back and forth. The mob appeared there, brandishing signs about “A bas l’imperialism americain!” [Down with American imperialism! ], so on and so forth. There were about 3,000 people all milling around the chancery, and then I heard on the radio from my wife that a similar group was doing the same thing at the residence. Well, that one got out of hand, broke all the windows, and it was pretty scary for my wife and two kids, who were then three and two. They were all holed up in the second floor, and these characters came through the windows on the second floor. The long and the short of it was that in the end, nothing much was done except breaking all the windows…. 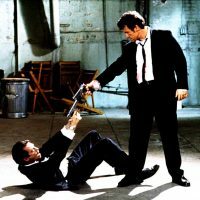 I’ll never forget, after the mob went away and, my wife came down. I hadn’t gotten home yet, but she went down and she started with a broom to sweep up all the broken glass, and a little guy appeared out of the bushes and said, “Oh, no, madame, we did it. Let me sweep it up.” And he took the broom from her and swept it up. So he handed them his gun, he took their shopping basket and the list, and he went on foot about two and a half miles to the market, bought everything, carefully noted how much each thing cost, and brought it back and handed it to them. Pretty sweet, both those instances. Otherwise, rather frightening experiences, because you’re never sure when mobs get out of control. The Ghanaians finally released the Guinean delegation. But first of all, I got to see Sékou Touré at 3:00 in the morning after we discovered we were hostages. This bizarre early morning appointment was made on the extraordinarily able Guinean ambassador to the U.S., Karim Baugoura, who flew out from Washington. We “palavered” for two hours with President Touré and, I believe, convinced him that we had nothing to do with the kidnapping of his Foreign Minister. However, the Americans were Touré’s only leverage on Ghana. So he did not release us until his Foreign Minister was returned about 10 days later. Subsequently, I was called back “for consultation” in Washington to assess the situation — Should we break diplomatic relations, cancel the AID [U.S. Agency for International Development] program or what? Meanwhile, Sékou Touré took all that in his own hands and threw out the Peace Corps, canceled the AID program, and expelled a lot of the embassy staff. This had its positive side as now we had a small embassy of about 10 people, including clerical and everything else. Our relations with Guinea [eventually] improved enormously. We got the bauxite and we got all our aims, and I was there for three years, which was something of a record for that place…. After the incident of our house arrest, when I came back from consultation in D.C., the Guineans were supposed to make an official apology and pay for the broken glass at the Residence. Well, getting Sékou Touré to apologize for anything was pretty tricky, you know, and I wasn’t sure how he was going to handle that. He said, “Well, I’m going to Kankan,” which is a major city in the north, in fact, where he comes from. I said, “Sure.” So I played checkers with him all the way up in his Antonov-24, a Russian plane, with steam pouring out of the vents the whole way. They’re not very well attuned to pressure. Anyhow, we got to Kankan, and went to the meeting. I was the only pale face in the whole room of a hundred or so governors and other civil servants. They all stood up and pounded their feet and clapped like crazy. And then I was dismissed. That was the apology.